Role: First Response and Containment for the British Isles and the local European sector. Description: Hotel-01 is established as the first response team for the majority of the anomalous events across Europe. They are equipped and trained for as varied of anomalous events as possible. If containment is beyond the scope of Hotel-01, they provide command with the information required to decide which teams should be called in to handle the more extreme anomalies. While Hotel-01 contains various military personnel and government agents from all over the world, the core of its forces come from the Royal Regiment of Scotland2 and the British Armed Forces. 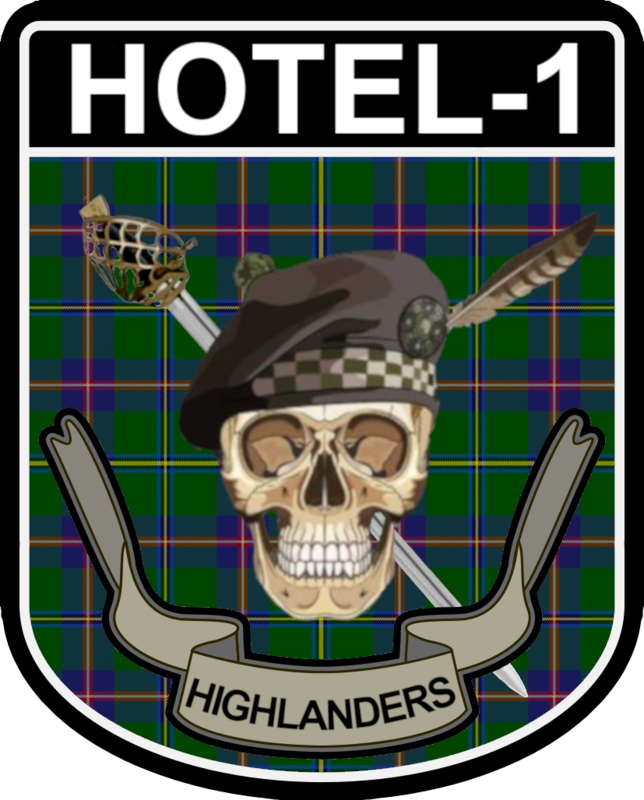 Hotel-01 "Highlanders" was formed in response to the increased reported anomalies following the heightened industrialization of the British Isles. While the newly formed modern Authority was still getting it's footing and being established, forces were needed on the ground to contain anomalous threats. Early Authority administration in Great Britain put together Hotel-1 from volunteers and established military veterans. The largest source of which was a recently disbanded Royal Highlanders (McKinley Highlanders) of the British Royal Army. The Highlanders quickly distinguished themselves among the Authority as a unique and talented Task Force with an impressive record. They were immediately stationed at Site-007 during it's construction and have remained garrisoned there ever since. Description: Hotel-01 was deployed to █████, England following reports of an anomalous serial killer from embedded agents at the local police station. Reports indicated the individual was openly killing and the police were incapable of stopping them. Authority administration deployed Hotel-01 to the indicated location and an anomaly was encountered. Hotel-01 was successful in containment with no causalities. See RPC-061 for further details. 2. The Highlanders, while not exclusively Scottish personnel, do allow all active personnel to wear appropriate clan tartans as part of their formal dress attire if they so wish. 3. This standardized gear is changed as situations deem necessary.